This is not usually the time of year most cruisers think about going to the Bahamas. But this is the time of year that a few adventurous cruisers know the anchorages will be a whole lot less crowded and the marinas will be offering deals. What got me thinking about the Bahamas was a presentation that Susan and I recently gave to the MTOA (Marine Trawler Owners Association) in Stuart Florida for their Southern Rendezvous. This year the Rendezvous was held at the Hutchinson Island Marriott Beach Resort & Marina. MTOA functions are well-attended and this one was no exception. The presentation covered some of the important questions that cruisers heading over for the first time ask. To get to the Bahamas, the boat and crew need to be prepared well before the departure from the U.S. First and foremost, the boat must be ready for an open-water crossing of the Gulf Stream. Make no mistake, this is a serious transit and should not be taken lightly. A full complement of current safety equipment needs to be on board and in good working order. The usual equipment, such as flares, signaling devices and flotation devices, to name a few, are a must. Good communications equipment is also essential. 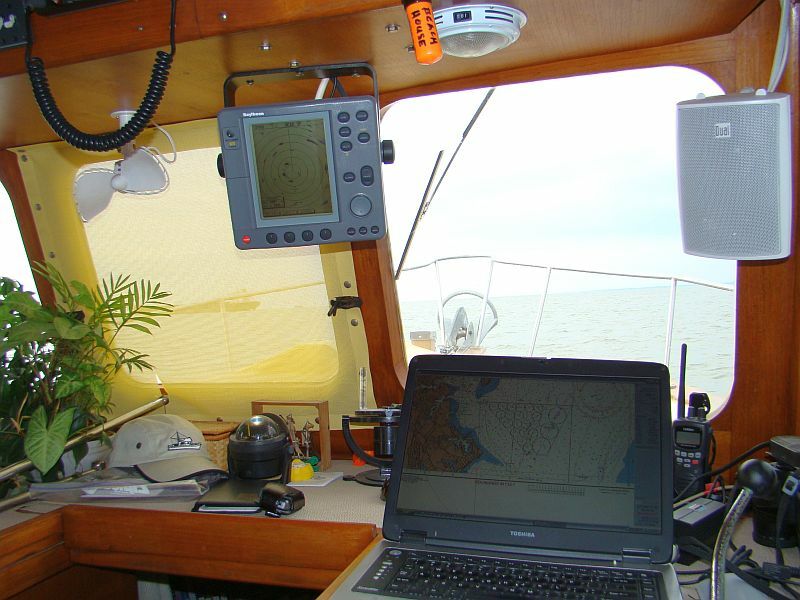 Unless you are in sight of another boat, at some point, the VHF and cell phones will not help in contacting someone should you need help. An HF radio is a very good option. The crew needs to be prepared as well. Are some prone to seasickness and will this be their first crossing? If so, are there seasick remedies on board. Nothing is worse than a debilitated crew when you need them. If specific medications or prescriptions are needed, be sure to fill all of those beforehand. Does anyone on board have any special needs that might not be available in remote areas of the Bahamas? All of this needs serious consideration and should be addressed well before heading off. Provisioning the vessel is another daunting task. Many items are cheaper to purchase in the U.S. and much easier to find. Other items are cheaper in the Bahamas due to government subsidies. Any special dietary requirements should be well-stocked. 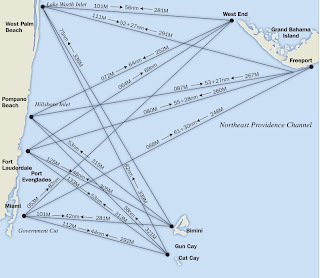 The big questions are, where should I cross, what weather is best to cross and can I get cell phone service in the Bahamas? In years past, the big questions included, what direction should I take to cross the banks, where are the best anchorages and where can I get provisions? Now everyone wants to know about cell phones and Internet service. Is that what cruising has become? How do we stay online and still be able to call home? I did my best to answer some of those questions, especially for the several boats that planned to cross for the first time. Where Do You Cross From? That depends on where you want to go. If heading for the Abacos, the best place to leave might be Ft. Lauderdale. Many cruisers cross over to West End from Lake Worth Inlet. While that is the shortest distance, you will have to take a heading south to go east, and since West End is slightly south of Lake Worth you will actually be working against the Gulf Stream and you don't want to do that. The Gulf Stream is a river of water that runs from south to north between the Florida coast and the Bahamas. The currents can run from 2 1/2 knots up to 4 knots. Going against the current will slow you down and make the trip longer. But if you take advantage of the current, you can get a boost in speed and cover a longer distance in less time. Lake Worth to West End is about 56 miles, while Ft. Lauderdale to West End is about 69 miles, but can be done in less time. Of course, this also depends on how fast your boat can go. Likewise, it is a better run from Ft. Lauderdale to Freeport rather than Lake Worth. The same applies for transiting to Bimini or Cat/Gun Cay. Miami is a much better angle to cross, and Key Biscayne, even better. What is the right weather to cross? 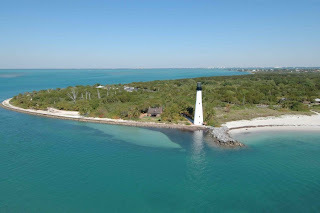 We have often sat behind Key Biscayne for days waiting for the right weather window to cross over. If I can offer any advise on weather to make the crossing, it can be summed up in three words. Wait, wait and wait. We had the opportunity to spend some time with Bruce Van Sant (Gentleman's Guide To Passages South) and he gave us some excellent advise for making the crossing. (Special note: as of 03/09/2012 Bruce let us know that he is putting out a 10th Edition.) Wait until the weather forecast is appropriate and is the same for at least today, tonight and tomorrow. That means a good forecast for at least 48 hours, with no fronts or significant changes in wind strength or direction. Crossing the Gulf Stream can be anywhere from uncomfortable to downright dangerous if attempted under the wrong conditions. A crossing should never be attempted with winds out of the northern quadrant and over 10 to 12 knots. Even 10 knot northerlies blowing for a couple of days will make for a very uncomfortable ride. Also, allow 24 hours for the seas to lay down after a northern blow. A north wind against a strong southerly current can make for some nasty seas. So what is the right weather? Ideally, southerly winds in the northerly flowing Stream are best, as long as they are not blowing too hard. Wind and current should be running in the same direction. But as we all know, as boaters, ideal almost never happens. What you will find more most often is easterly winds, and occasionally westerlies. As long as these are light to moderate, you can make a safe crossing and still be fairly comfortable. For sailors, this means motoring all the way over in east winds. We much prefer a crossing that would have us motoring, since it means light conditions. Typically, we would leave from behind Key Biscayne at around 5 a.m. and cross over onto the banks in the early afternoon. This puts the sun behind you when arriving in the shallow waters of the banks and gives you better visibility to read the water for depth. 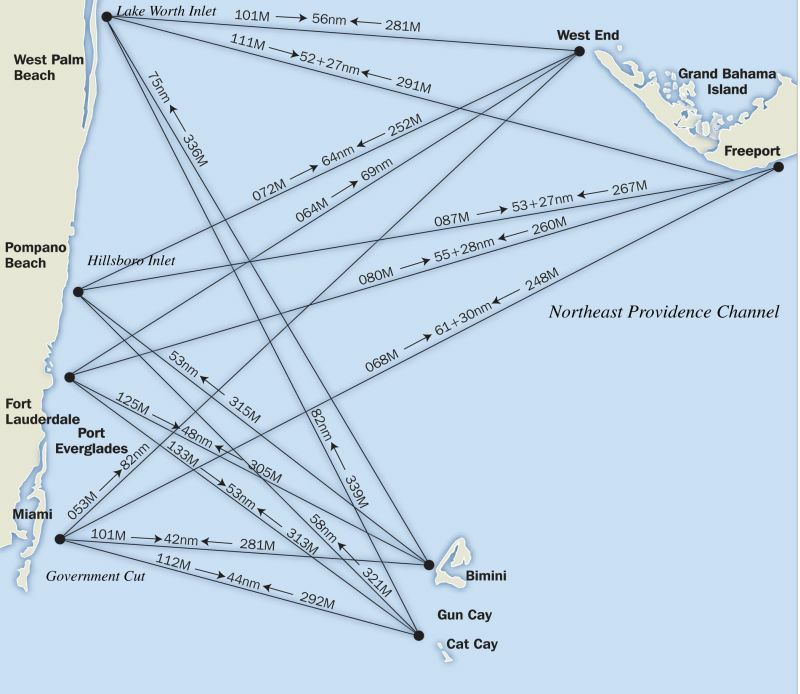 Once you have crossed the Gulf Stream, unless you have a very fast boat, you will spend several hours crossing the banks to get to your first destination. Slips are available at West End and the marina at North Cat Cay if you get caught with the weather changing. But those marinas are very expensive and you could get trapped for several days, unable to go anywhere. Again, depending on boat speed, it can take another day to get to the Berry's, New Providence or well into the Abacos. That is the need for a full, two day weather window. The current fees for entry into the Bahamas for a boat and crew is $150.00 for a boat up to 35 feet and $300.00 for a boat over 35 feet. The boat is issued a cruising permit valid for 8 months. But the crew is issued visitors visas that technically, by law are good for 30 days. After the 30 days, your stay can be extended. But there are some rules. You must apply for your extension two days before your time is up, and not sooner, and there are specific locations where you can apply for an extension. But as with all things in the Bahamas, this is not always the case. 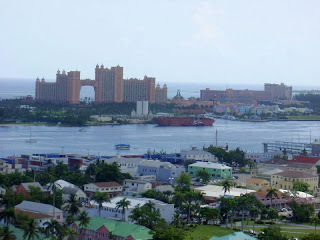 Bahamian Immigrations Officers can, if they choose, give you a visa for 90 days or even 120 days. Where you check in and which Immigration Officer you get will determine how long of a stay you will get. Remember, this is for the crew. The check in fees include a fishing license. It is also important that there be both Customs and Immigrations Officers at your check in. If only a Customs Officer is present, you will only get 30 days since that is all they can legally issue. The best places to check in to get a longer stay are Bimini, Nassau, Chub Cay, West End, Port Lucaya, Marsh Harbor, Freeport or Georgetown. Extensions will not exceed 8 months. Believe it or not, this is the biggest question I get when discussing cruising in the Bahamas. Verizon probably won’t work and neither will Sprint. Both use CDMA technology which is only supported by BTC in Nassau (for the cruise ship passengers I guess). AT&T and T-Mobile use GSM, as does most of the rest of the world. To have cell phone service in the Bahamas, you will need an unlocked quad band GSM phone. Verizon does have "Global" phones that use both CDMA and GSM, but they will be locked to Verizon. 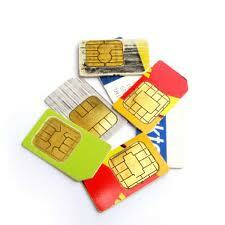 The reason the phones must be unlocked is to allow the purchase and use of BTC Sim Cards. With these Sim cards, you will be able to make calls within the Bahamas with a Bahama's phone number and make and receive calls from the U.S. and elsewhere at a fairly cheaper rate than you might pay in roaming charges should your cell phone from a U.S. provider work. These unlocked phones can be purchased in the Bahamas or in places like Walmart in the U.S. Additional minutes can be added to these Sim cards as needed. You can also rent phones, but this adds the rental charge to your phone expense. To use cell phones in the Bahamas, you will need to be close to a cell tower. 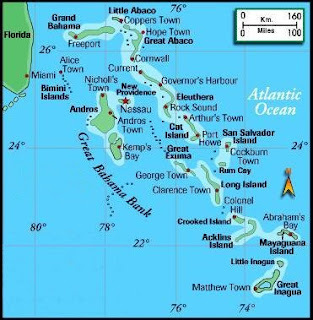 Beside major cities like Nassau, Freeport and others, cell towers are located in the Exumas at Highbourne, Staniel, Black Point, Farmers and Great Exuma Cays. Outside of these areas, you can probably not count on service. The Abacos do seem to have better coverage. You can get connected in the Bahamas in many areas, but again, the remote Cays will not have WiFi service. There are several paid services available in many populated harbors, and you can pay as you go for a day, week or subscribe for longer service. This will be expensive compared to what might be found in the U.S., but if you must get online, it is worth it. Don't count on high speed connections equal to broadband. And don't count on always keeping a connection. Free WiFi connections can still be found in some areas, but these are few and far between and should not be counted on. You should also take care in protecting your WiFi connections, and see our post here on some ideas to protect your computer. Internet Cafes are still available in larger settlements, and you can carry your laptop and connect or use the Cafe's computers. Care should be taken to keep your computer dry, especially if you are out in your dinghy. Care should also be taken when using secure sites or transmitting personal information at Internet Cafes. It truly amazes me that these are the subjects most new cruisers are now interested in prior to their first time in the Bahamas. In previous presentations, folks wanted to know about the availability of provisions, what the best anchoring spots were and where the best snorkeling places could be found. We always had questions about the best course and time to cross the banks and where the really shallow passages were. But things have changed quite a bit and cell phones and Internet Service are the topics of the day. My how times have changed. 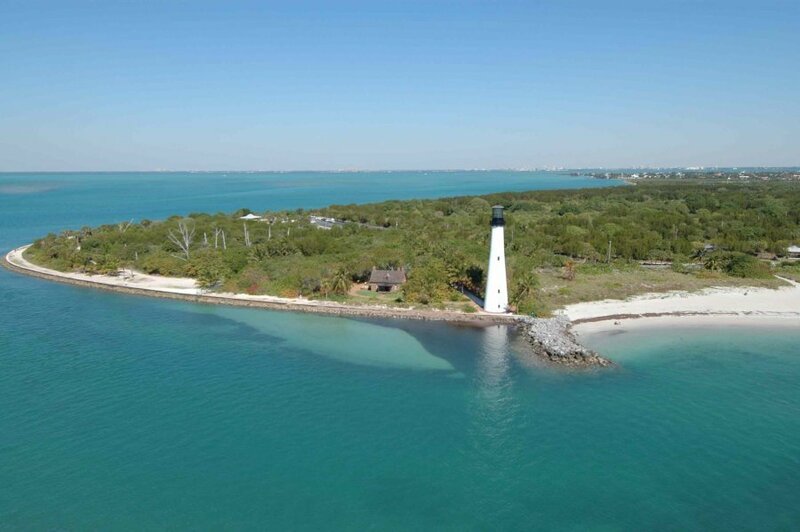 We have touched on only a few of the things boaters need to know to head over to the Islands. If anyone has any additional questions, you can post them in the Comments section and we will be happy to answer them as soon as we have another WiFi Connection. Good luck, stay safe and above all else, have fun. BTC is now updating their information for all accounts on file (or not on file) with existing cellular phone users, and requiring existing users to sign a new terms and conditions agreement. If you, like we used to do, just purchased a SIM card from whoever had them for sale, they will no longer work until you visit the BTC office and register the account. In order to purchase a new SIM card for BTC you must now show photo identification. So on entering the Bahamas your phone might not work until you visit their office with the ID and if you have been putting money on your account to keep your number active you will still have to go into a BTC office before your phone will work after December 1, 2012. This applies to data sim cards also. Here are links to the new terms and conditions and the application for prepaid service pages. If your phone doesn’t work when you arrive, don’t panic, it is probably due to this new policy. 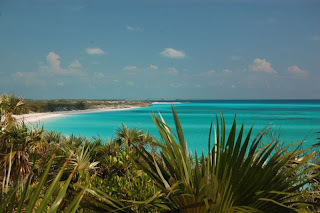 Be sure and read our follow up post on what to do once your in the Bahamas. Before you go, get your copy of The Great Book Of Anchorages, The Bahamas. Thanks Chuck for very good and complete post. I have linked it in my blog. I few of use will be heading through on our way to the Eastern Caribbean this fall and this is great detail. Thanks Chuck & Susan. Great summary. Someday 94 yrs from now) we hope to follow in your footsteps. If you have time can you give us a brief rundown on provisioning in the Bahamas? Food, water, fuel, pumpouts etc. I'd appreciate that. Rick, I hope it takes less than 94 years. the basics. Items such as paper goods, towels, toilet paper, etc. are very expensive and hard to find in the smaller Settlements. Over the counter medication is also hard to find and very, very expensive. These items should be well stocked before leaving the States. In addition, the supplies run out fast until the next supply boat arrives. Items like lamb, butter, cheese, rum and some wines are subsidized by the government and very inexpensive. Water is found in most settlements and cities where marinas are present. But you will have to pay for it and that will average about .25 per gallon. Lots of folks, us included, have watermakers. The water quality is not always great and the worst water we ever took on was at a marina in Nassau. Fuel is another issue where shortages are possible, even in places where available. Nassau, Freeport, Marsh Harbor, Hopetown, Staniel Cay, Georgetown, Green Turtle and several other Cays will have fuel docks but can run out. The fuel prices are controlled by the government and will be high compared to the US. Great Post Chuck and Susan. Questions about the Internet and phone service are not surprising these days as people are so accustomed to being plugged into each other now. Just take a look around the next time you are driving and see how many people are on the phone texting, talking or surfing the web. I also suspect that some of the new emphasis on Internet and cellular might also be because people are now very accustomed to doing their research online from everything to where to anchor their boats to walking to the local supply store. With Google maps and some charts one could almost take a virtual cruise and map out directions on an island they have never visited. Services like SPOT tracker allow others to follow along with friends. All of this however is still far short of actually having been there and experience is always the best teacher in life. There is a wealth of information to be found on sites like yours and others. In the past learning about most of this information required attending cruising seminars (still highly recommended), speaking with others directly, reading monthly marine publications or being there yourself to learn about these topics. Now people can access much of this information online and are able to build lasting friendships with people with the common passion (or affliction) of boating, sailing or cruising despite the fact they have never met face to face.. There is good and bad in all of this and as satellite communications evolve I am sure people will get much more active on the airwaves in remote regions than ever before... I recently read that it is an interesting phenomenon that we are more connected than ever before as a society but are less connected with our neighbors and community than ever before. The exception to this I have found is within our community of boating friends. I have also found comfort in that that none of the electronics that invade our daily lives work very well while diving at 110 feet on a reef. And no I will not buy that fancy new underwater communications headset….. Thanks Chuck. Sorry, that should have read 4 yrs. Had a run in with a runaway tape measure so I've got a finger taped up! That's my excuse anyways. I've often thought, after all I've read, that a watermaker would be an essential piece of equipment on a Caribbean cruising boat. That and good fuel filtration. Anyhow, thanks for the info, I appreciate it. We have a Catalina 28 sailboat and would like to cross to the Bahamas next December. Would you suggest we leave from Miami or Fort Lauderdale? Should we check in at Bimini or Cat Cay if we leave from Miami? If Fort Lauderdale should we try for West End? What would be your suggested route after any of these options to get to Marsh Harbour? I know our boat is small but we are very well equipped and have a lot of sailing experience on the Great Lakes. We also did the Loop in our little sailboat in 2005/2006. We would be very vigilant about the weather knowing that we are a slowing boat. Any help you can give us in regards to our crossing will be gratefully appreciated. the weather knowing that we are a slow mowing boat. 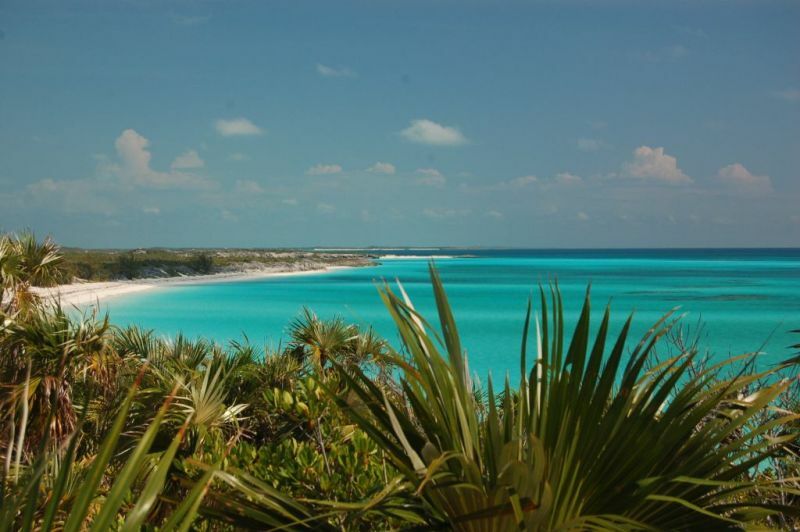 It has always been our dream to take Catnip Too to the Abacos.